A new project has developed within my family. 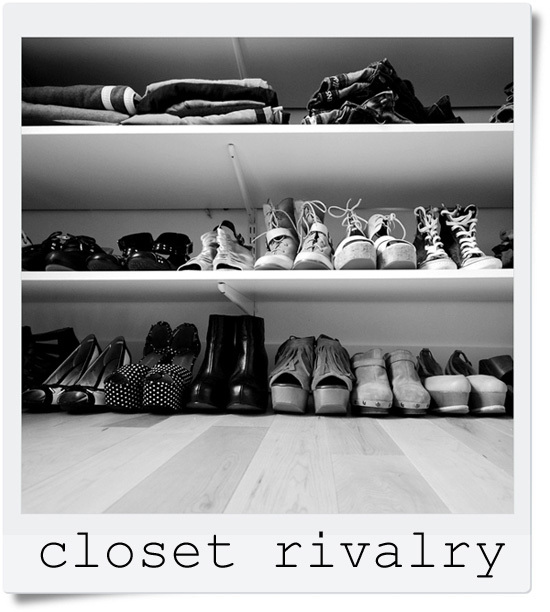 My twin sister Kim, of desire to inspire, and my younger sister Jen (blogless until now), have started a new fashion blog called closet rivalry. It's a genius idea since my twin sister is an avid shopper and Jen is a stay at home mom who loves fashion blogs and needs ways to stay busy! LOL! I think it's going to be a big hit and I am a very proud sister. Stop on over! Sounds like a great blog! I'm definitely following! Thanks Morgan! It'll definitely be worth following. I guarantee it!